Calling all DJs, clubbers, ravers, bands and anyone looking to funk up their look with the hottest twilight trend! 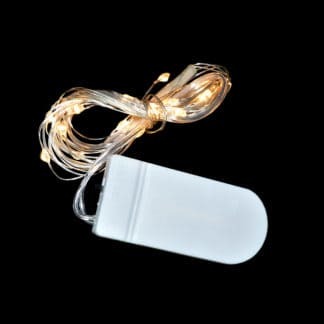 This product requires 2 x AA batteries which can be found here. 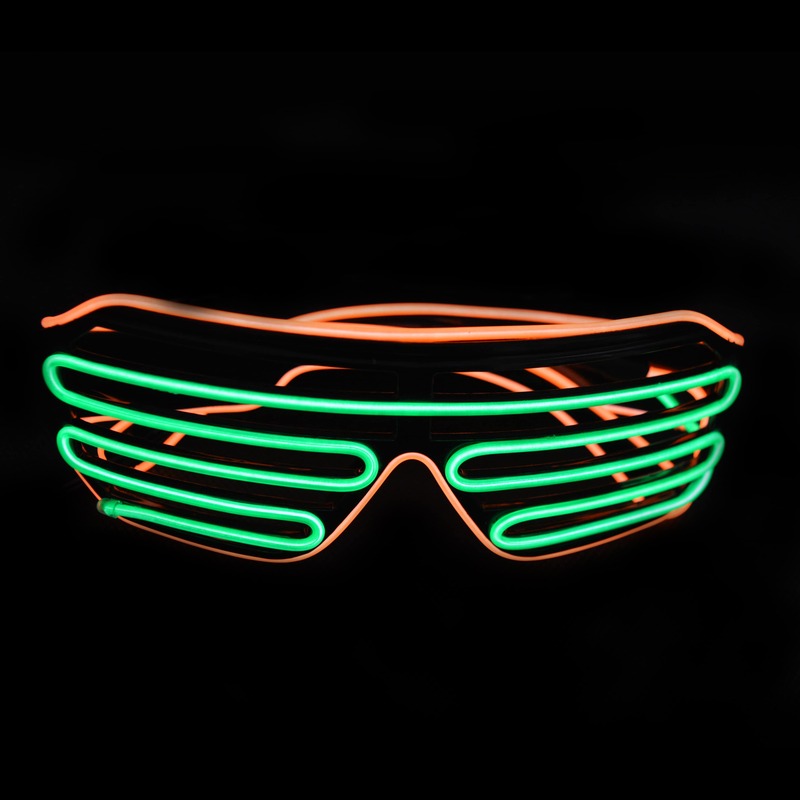 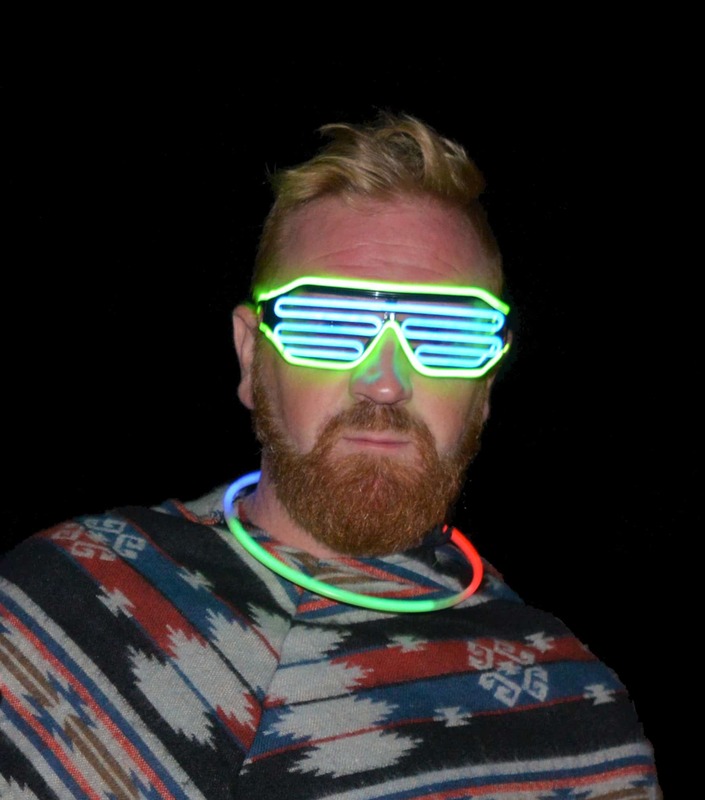 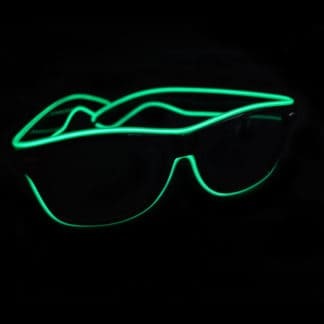 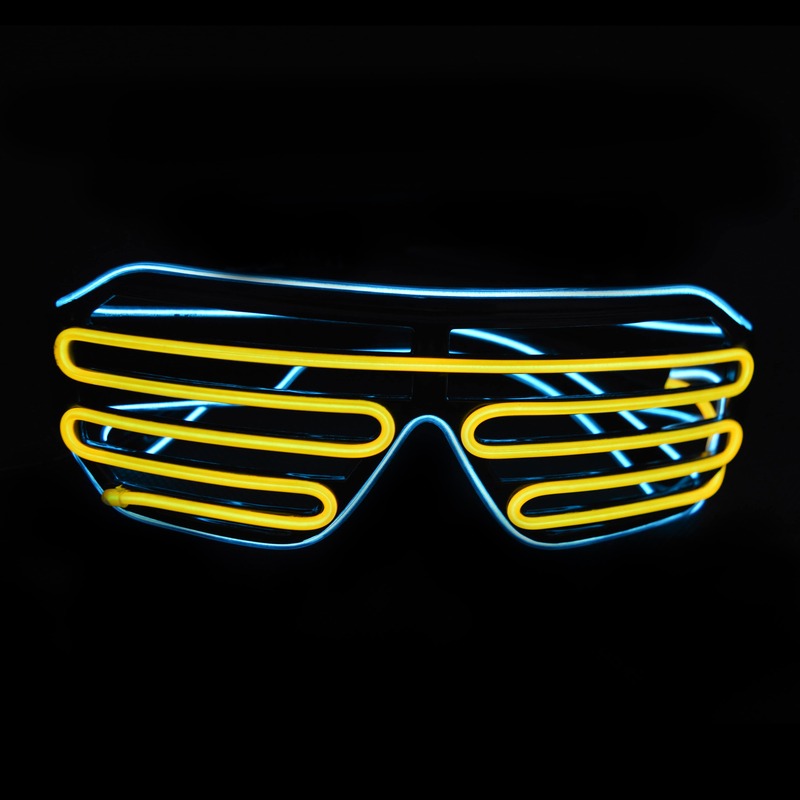 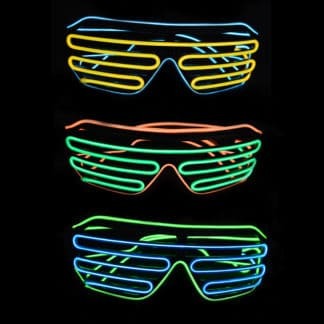 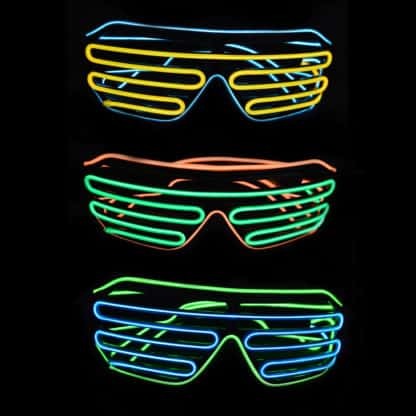 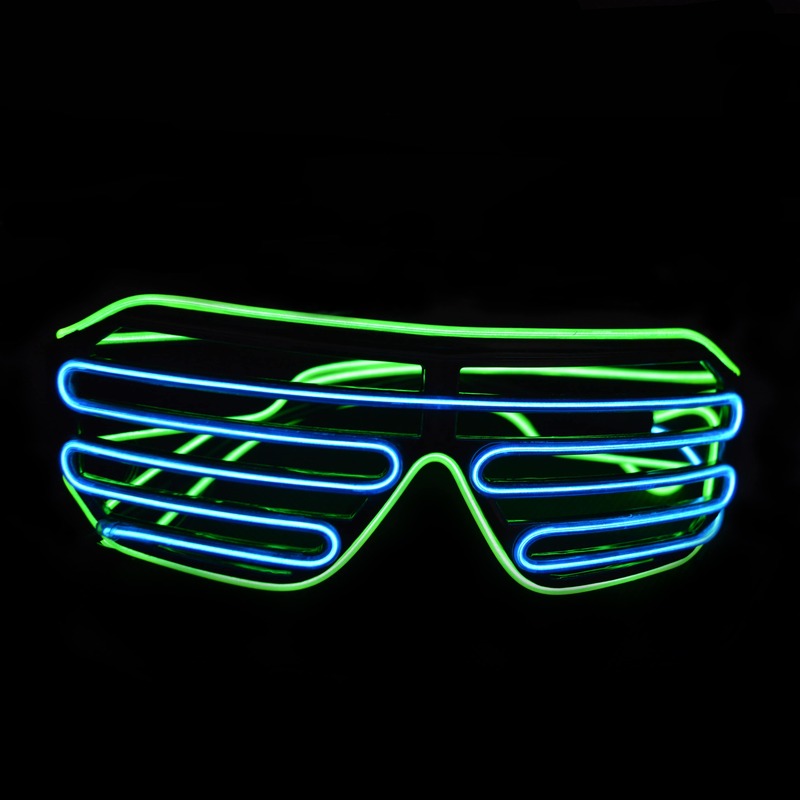 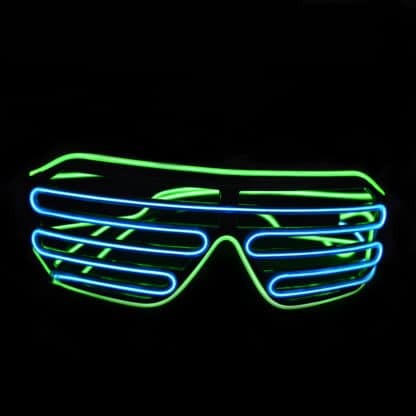 Electroluminsecent LED Glasses are the hottest thing to hit the nightclub scene, and nothing is more spectacular (no pun intended!) than our EL Shutter Shades. 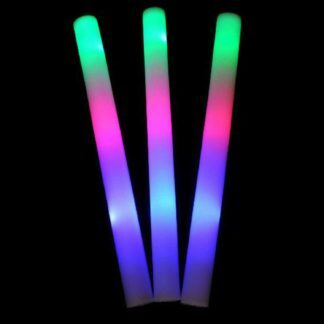 They are strong and durable, deliberately designed to withstand intense party action, and have a detachable battery pack to house 2x AA batteries to give the optimal glow power to last all night long. 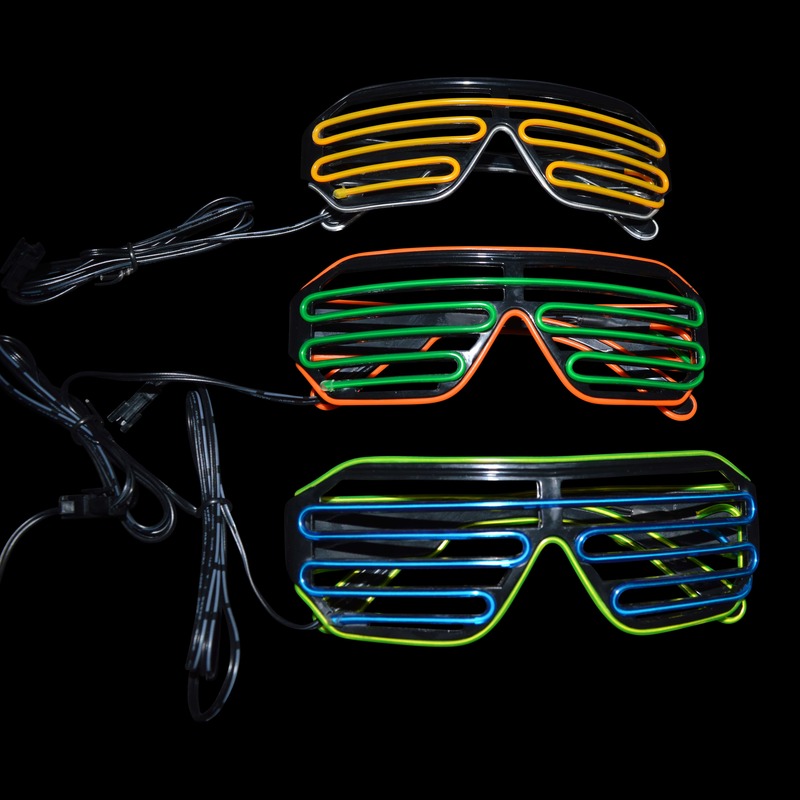 With two electroluminescent wires in two complimentary tones that glow to three different modes: static, slow flash and strobe, these super bright lights will compliment your outfit and match your mood whatever the event. This design features a Slotted Shutter Shade style and is bang on trend. 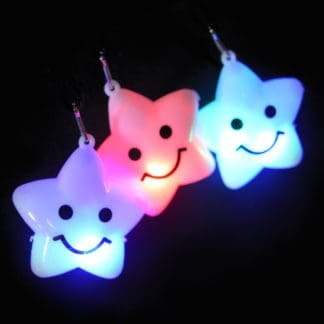 No party night would be complete without them. 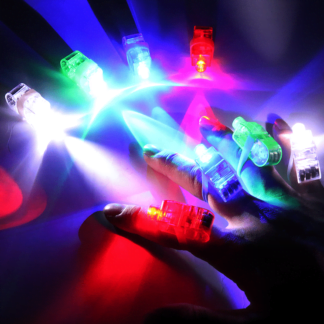 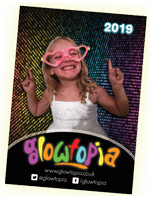 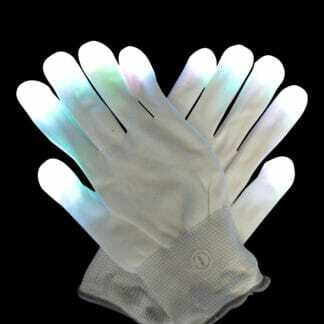 Ideal for Christmas parties, New Year’s parties, cosplay, festivals, raves and especially popular with DJs and ravers. 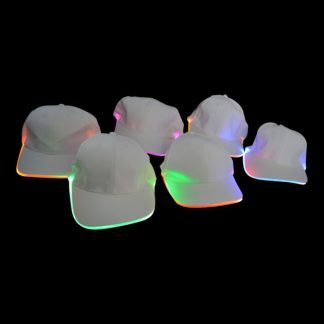 Thanks for the feedback, we’re working hard to get new products in all the time and will keep these colours in time for next time!